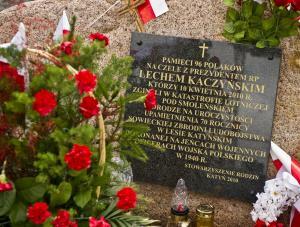 Today marks the 1-year anniversary since the tragic plane crash that killed Polish President Lech Kaczyński, his wife and 94 others who were on their way to commemorate the Katyń massacre of 1940 when approximately 22,000 Polish prisoners of war were executed on command by the Soviet NKVD. Ceremonies and commemorations are being held throughout Poland – the largest ones in Warsaw under the Presidential Palace and at Wawel Castle in Kraków, where the presidential couple were buried almost a year ago. In an earlier post, I expressed hesitation about accepting the ‘grand reconciliation’ that has been anticipated after the tragic events of April 10, 2010 – specifically citing Polish discontent with Russian handling of the crash investigation. However, it is true that since the crash, Polish-Russian relations have undergone a thaw, with increased dialogue, state visits, and cooperation between the two sides. Presidents Medvedev and Komorowski even signed a letter of intent on establishing a Center for Polish-Russian Dialogue back in December 2010. Medvedev also presented Katyń director Andrzej Wajda with the Order of Friendship of the Russian Federation. However, despite symbolic gestures, concrete joint efforts at investigating the causes of the crash have all but crumbled. Russian strong-arming and Polish paranoia have clouded conclusive results and thrust hopes of any long-term rapprochement through cooperation back into the ether. I didn’t mean to be a doubting Tom, but I still believe my comments were not so far off the mark – then or now. In fact, just yesterday, a commemorative plaque was unveiled in Smolensk featuring last-minute changes made by the Russian side. The reference to the purpose of the visit – to commemorate “the 70th anniversary of Soviet genocide in the Katyń forest performed on prisoners of war and the officers of the Polish Army in 1940” – was removed without any prior consultation with the Polish side. The new plaque features a Russian translation of the Polish text and is anonymous. 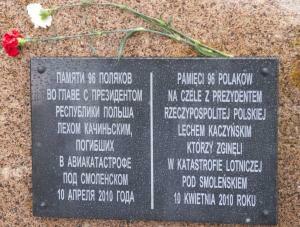 The original plaque, which Governor of Smolensk District, Andrei Yevseienkov says will be transferred to the museum in Katyń, was funded by the Katyń Families Association. „Pamięci 96 Polaków na czele z prezydentem Rzeczypospolitej Polskiej Lechem Kaczyńskim, którzy 10 kwietnia 2010 r. zginęli w katastrofie lotniczej pod Smoleńskiem, w drodze na uroczystości upamiętnienia 70. rocznicy sowieckiej zbrodni ludobójstwa w Lesie Katyńskim dokonanej na jeńcach wojennych, na oficerach Wojska Polskiego w 1940 r.”. „Pamięci 96 Polaków na czele z prezydentem Rzeczypospolitej Polskiej Lechem Kaczyńskim, którzy zginęli w katastrofie lotniczej pod Smoleńskiem 10 kwietnia 2010 roku”. Unsurprisingly, the change (which happened the night before a delegation from the Katyń Families Association along with First Lady Anna Komorowska arrived to mark the anniversary of the crash) has been met with uproar from the Polish side. The question is: was the decision to swap the plaque a local initiative, within the Katyn District itself, or was it done with the knowledge and support of Moscow? Poland’s Foreign Ministry has yet to receive a response from the Russian side in this matter, perhaps because the answer could have wide-ranging implications for Polish-Russian relations. Yes, indeed, it might have seemed random to some. But to those whom I exhausted with my tireless rants about the state of the world whilst inebriated at art school; my colleagues and teachers to whom I’d explain the conceptual inspiration behind my design work; my professor Andrew Savchenko who saw potential in me and helped formulate my understanding of history, social theory, and political economy (and who introduced me to writers that articulated on paper what I had in my head and heart, for which I am truly grateful); and to my family who is, quite frankly, always surprised at what I do–and therefore not phased by anything anymore…. to all these people, my choice to study political science–and in Europe at that–was understandable. But some questions still remained. And I’m afraid that they might remain for some time. However. Here’s one I’ve been working on: textile artist, political scientist. What could they possibly have in common? For me personally, it’s simple: it comes down to the understanding of patterns. On the surface– one is visual, the other belongs to the realm of the abstract and theoretical. But I argue that it’s not–and cannot be–so black-and-white. If you ask me, one is not exclusive of the other… ever. The first thing you generally notice in a textile is its visual characteristics: its color, the design of the pattern, its luster (or lack thereof), etc. The materiality of the fabric–its hand, texture (achieved through conscious decisions in weave/knit structure, the fiber content and scale of yarns, various finishing processes, etc.) is secondary, but by no means less important. Of course, at times, looking at a fabric helps in ascertaining its fiber content and subsequently, inferring its hand (slick, shiny cotton sateen vs. nubby hand-knit wool), but generally, you never know for sure unless you take it between your fingers and touch it. So, it’s safe to say that understanding the materiality of a fabric is dependent on the act of physically touching it: a purely sensory event, which warrants a sensory reaction. The approach to the study of history and the science of politics relies heavily on the written and spoken word. Both sensory: one visual, one auditory. But the power of visual images and symbolism cannot be overlooked here, either. It is visual culture that allows us to understand how societies process political, social, and economic events, as well as how society, itself, shapes these events. The Bolshevik Communists realized early on the power of visual culture, creating the Proletkult institution in 1917 just days before the October Revolution to bring art ‘under the service of the dictatorship of the proletariat.’ This organization laid the foundations for Socialist Realism, which would dominate Soviet art and shape Soviet culture for the next sixty years. Visual symbols wield a lot of power, particularly in this day and age. And the use of these symbols must be carefully considered, as they hold particular and universal associations (they are not mutually exclusive in this case) and at times have heavy ideological baggage attached to them. Take the hammer and sickle, for instance. 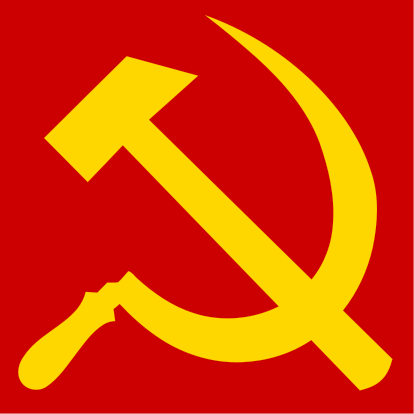 Historically, the overlapping hammer and sickle represented the unity of the industrial proletariat and the peasants. It was conceived during the Bolshevik Revolution, officially adopted by the Soviet Union in 1922, and finalized in the 1924 Soviet Constitution. It began being used by other Soviet republics in 1924. With the fall of Communism and subsequent dissolution of the Soviet bloc, the symbol was removed from official use, although some oblasts continued (and still continue) to feature the hammer and sickle in their flags. Some background: Aeroflot was founded in 1932 as the official Soviet national airline and was at the time, the largest airline in the world. It was the pride and joy of Soviet civil aviation. Following the collapse of the Soviet Union in 1992, Aeroflot was divided into hundreds of regional airlines, including national airlines of newly independent states, like Lithuania and Uzbekistan. During an attempt to reshape the company’s image in 2003, replacing the hammer and sickle in the logo was met with resistance, since it had been such a recognizable symbol of the company for almost 70 years. In the end, it stayed. However, this is an interesting case study. The decision to retain the airline’s logo–hammer and sickle and all–was made in 2003. Is it possible then, to infer from this instance that the adaptation of such loaded symbols (like a hammer and sickle) to other uses, like an airline logo for example, is possible, but requires distancing them from their original context? (In this hypothetical case, the addition of wings and getting rid of the red ground, for example– granted this was all in the original logo of 1932.) Is an attempt to disassociate these symbols from their negative historical connotation, and instead, to draw on certain positive attributes surrounding the symbol itself, necessary? (In this case, it would be nationalist pride.) These decisions, however, would prove that a negative connotation existed in the first place. And so it can be said that by adapting these loaded symbols to new contexts, you run the risk of stirring up the potent emotions associated with them, despite trying to distance the symbol from its original context. In brief: it is my belief that one simply cannot underestimate the universal associations with a symbol like the hammer and sickle, nor attempt to separate the Socialist ideology behind it from the disastrous results which occurred after the implementation of Socialist policies; it is simply foolish. And like with Communism itself, while ideological sincerity might be the motivating force, the harsh realities–in this case, say, a two-year prison sentence or a stab in the stomach from a nationalist–might just not be worth it. Not even to fit in with the hip, retro-kitsch crowds that seem fascinated with Communist iconography. Just one example of how visual symbols can play a big role in the study of history and political science. So, I just finished my first week of classes… and so far, so good. The program seems promising. There are three compulsory components for the first year: (1) courses in Statistics; Research Problems and Methods; and State Building, Nationalism, and Development in Eastern Europe; (2) compulsory open lectures which we must attend and then report on; and (3) language courses in either Russian, Slovak, Bulgarian, or Bosnian-Serbian-Croatian. Monday, I attended one of the elective courses being offered this semester: Community Participation and Social Trust in Eastern Europe. Seems interesting– sociology-based. Main topics include social capital and social trust, globalization, and democratization of post-socialist countries. The professor (Antonio Maturo) is Italian. He actually spent some time at Brown University as a research fellow and has been to Greenpoint, so we have some common stomping grounds. I’m still not sure if I’ll stay in his class, since it doesn’t fit into my program of study, but an option might be to just follow it and then abstain from taking the final exam. I’ve only attended two classes so far, so we shall see. I also went to my first class of Russian on Monday. I was thrilled to find out that the program is offering an introductory-level Russian course, since initially, only Russian advanced was listed. The course is being taught two days a week by two professors, working in concert. One is Italian (Berardi), the other is Russian (Buglakova). It was only a short introductory meeting, but this coming Monday, we start with the Russian alphabet(!) Exciting! Professor Bianchini–director of MIREES–is teaching two courses this semester: Post-Socialist Transition and EU Enlargement Eastwards (elective) as well as State Building, Nationalism, and Development in Eastern Europe (compulsory). The former will mainly explore both the supranational as well as the regional dimensions of recent EU enlargement (mainly the enlargements of 2004). The latter, which is a compulsory course, will begin with the 19th century and the Narodniks and follow through to Gorbachev, focusing on the social/political dimension of development in Eastern Europe. Lastly, we had our first compulsory class of Statistics with Professor Luciano Picci. So far, it was just an introduction of basic terminology. I’m excited about this class. The professor speaks English very well and is really organized and to-the-point. I mean, he is an economist, after all. All in all, the first week was low-key: course presentations, introductions of basic concepts, a few readings. By the end of October, we are required to choose a study plan from one of three curricula: Economics; Politics and International Relations; and History, Media, and Cultural Studies. One course from both remaining curricula is compulsory. The program is a Master’s in Interdisciplinary Research and Studies on Eastern Europe, afterall. I’ve chosen the Politics and International Relations curriculum, and preliminarily would like to focus on “Political Transition, the EU, and Security.” Courses in this study plan include National Political Movements in East-Central Europe; Regional Policies in East Central Europe; Security Building in Central and Eastern Europe: NATO, Russia and the EU; and The US, USSR and the «New Europe». We shall see, however. I still need to consult. But I’m ready to get going! This week was also the welcome week for ERASMUS and international students. There were some planned events and we all got to mingle. It was nice to get out and away from student loan issues… let’s just say that international institutions and American loan companies don’t mix. Like many people all over the world, I have been deeply troubled and concerned about Pastor Terry Jones‘ plan to host “Burn a Koran Day” at his small church in Gainesville, Florida. Amid mounting tensions surrounding the mosque debate in New York and the international backlash from Muslims worldwide, I can’t help but think: could this small, isolated incident prove to be as precipitous as the assassination of Archduke Franz Ferdinand in 1914? Almost a hundred years later–and this being the nuclear age, the stakes are much higher. Now, with Florida Imam Muhammad Musri denying having said to Pastor Terry Jones that the mosque in New York will be moved in return for the cancellation of the Koran burnings, it seems that the nightmare is far from over. Furthermore, the way the discourse in this matter proceeds from here on will need to be handled very carefully, as any tip in the balance can send U.S. and global security into a state of red alert. In fact, Interpol (the International Police Organization) has already issued “a global alert to its 188 member countries, warning of a “strong likelihood” of violent attacks if plans for a Quran burning in Florida go ahead” (CNN). But it isn’t just a heretofore-unknown radical Christian pastor of some small, 50-person church in Florida that has resorted to radicalism as a means to an unjustifiable end. Erika Steinbach, an ally of German Chancellor Angela Merkel, has stepped down from her post after suggesting that Poland may have been as responsible as Hitler for the outbreak of World War II. She said that Poland had mobilized its troops six months prior to the Nazi invasion in September 1939, and therefore are to blame for provoking Hitler’s attack. Mrs. Steinbach heads the Federation of Expellees, a conservative group dedicated to documenting the suffering of Germans expelled from parts of Eastern Europe after World War II. She is the daughter of a German army officer who served in Nazi-occupied Poland and a member of the Christian Democratic (CDU) party. The controversy over Steinbach began in the 1990s, when she voted against accepting the Oder-Neisse line (the present-day border between Poland and Germany) in the Bundestag in 1991. She also repeatedly and publicly expressed doubt about Poland’s readiness to join the European Union, before it eventually did in 2004. Angela Merkel, a long-time friend and ally of Steinbach, tried to remain out of the debates, but put her foot firmly down after Steinbach’s comments about Poland having a share in Hitler’s 1939 invasion. The Polish ambassador to Germany, Marek Prawda commented that today’s relations between Poland and Germany were too strong to be affected by Steinbach. 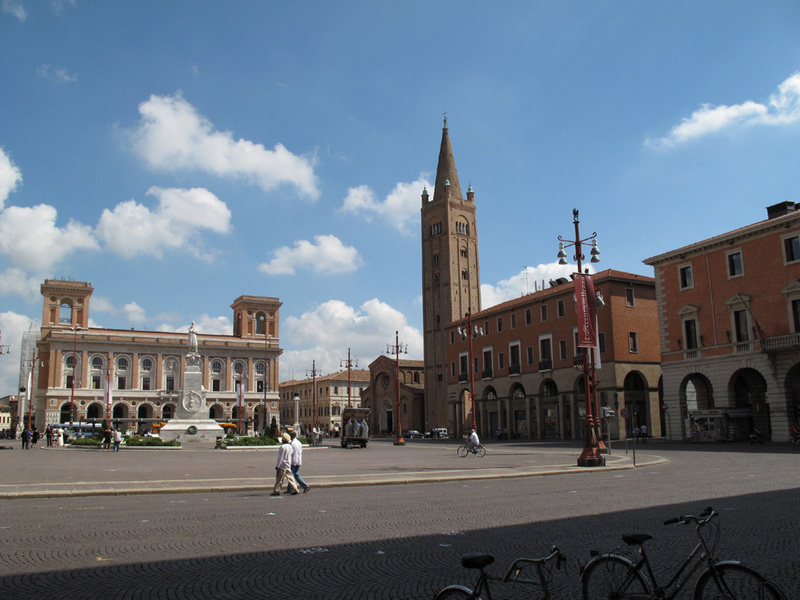 So I finally arrived in Forlì on Friday, September 3rd! First impression: gorgeous little city, calm and quiet, not far from the Adriatic coast. The rolling Apennines–the mountain range that runs along the length of Italy–happily greeted my one hour-delayed flight. The University of Bologna’s Student Association, which helped me find accommodation in Forlì, picked me up from the airport and whisked me off to my new apartment. Right in the center of the city, it’s a street over from my university, a 5 minute walk to the main square (Piazza Saffi), and a maximum 20 minute walk to anywhere else of importance. 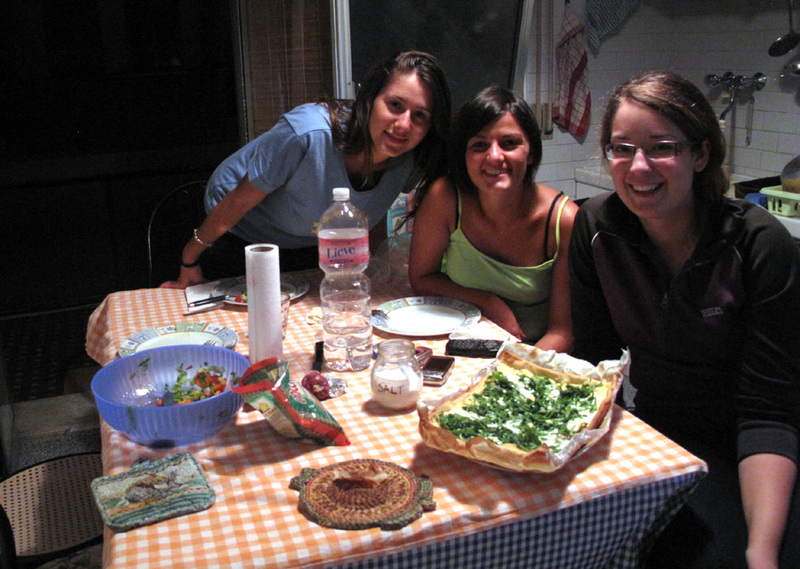 After unpacking and settling in, my new flatmates Chiara and Paola– who are graduating this September as International Relations majors–welcomed me to the apartment with a delicious dinner! We began with a salad and purè (mashed potatoes). Then, Chiara, who hails from a town in central Italy (Umbria), made a pizza with arugula and stracchino, a soft white cheese that comes from her region of Italy. The following day, they made me try real, authentic, home-made pasta carbonara. It was so good!! On Saturday, I walked around the city to get familiar with the streets and shops. 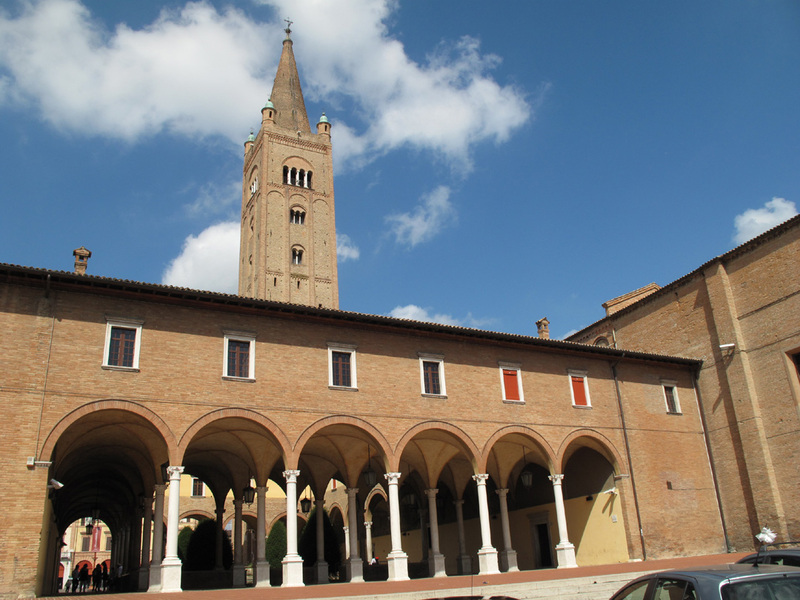 Of course, I walked towards Piazza Saffi, Forlì’s main square which features the 12th century cathedral, San Mercuriale and its 75m-tall belltower (one of the tallest in Italy!). I mainly walked down Corso Garibaldi– one of the four main arteries of the city. Palazzo after palazzo, piazza after piazza, I began to get the feel of this picturesque city. Founded in 206 BC, and the site of the ancient Forum Livii, Forlì has a rich history. The region itself has been inhabited since the Paleolithic era. It is currently an important agricultural center and primarily focuses on the manufacture of silk, rayon, clothing, machinery, and metals. The city itself has many buildings of architectural, artistic and historical significance, many of which include beautifully restored frescoes. It is also the seat of the University of Bologna’s Roberto Ruffilli Faculty of Political Science– which is why I’m here! I was quite confused when I first saw the Forlivese coat-of-arms; it featured a German eagle… …which–I think– perfectly reflects the colorful history of the city. It became a republic for the first time in 889 AD and offered its loyalties to the Holy Roman Emperors in order to keep its independence. This was no exception in the case of Frederick II, one of the most powerful Holy Roman Emperors of the Middle Ages (and also a king of the German Hohenstaufen dynasty). In 1241, Forlì aided Frederick II in the capture of its rival city, Faenza, and was presented the Hohenstaufen eagle as a token of gratitude. 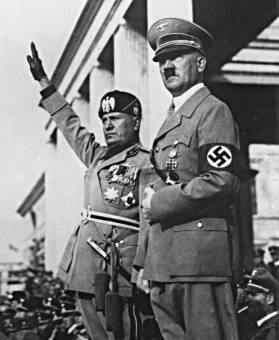 However, probably the most famous Forlivese native is Benito Mussolini(!) 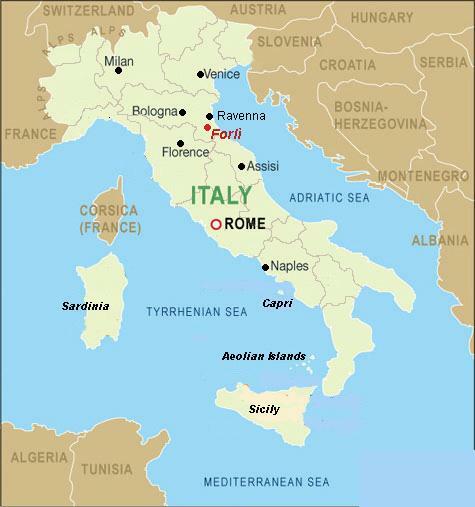 He hailed from this region and became actively involved in local politics in the 1920s, before becoming a powerful dictator who would rule over Italy for almost 20 years. Eeek…. Those of you who have followed my blog this past year have probably noticed a change in title. The reasons for this are twofold: 1. My year in Poland on the Fulbright… is over; and 2. I’ve been accepted into a two-year Master’s program at the University of Bologna–Forli. And so, new adventure, new blog title. The last few months of my Fulbright were quite stressful–in a good way. (A little stress keeps you on your toes.) But I had finally gotten into the swing of things: I was working on numerous projects, traveling and seeing new places, really settling into a life abroad. But, the inevitable end of my grant period also signaled a big question mark for me: What was I going to do next? I had been thinking about (and stressing over) this very question since the beginning of my year in Poland. And the answer still remained unclear towards the end. I left myself open to chance. And for someone who usually likes to have a Plan B, or even a hypothetical Plan C… or D, the prospect of not knowing was terrifying. But it also proved to be quite liberating. It was the tragic Smolensk plane crash, in which all passengers were killed including the President and First Lady of Poland, that reawakened an old conflict within me. I was immediately transported back to the 11th grade, when I had to make the decision between political science and the arts. Although I went on to study Textiles at the Rhode Island School of Design, my interest in political science never died down. A particular focus on Post-Communist Eastern Europe surfaced during my junior year, and culminated in an independent study my senior year. I ended up graduating with a concentration from the Department of History, Philosophy and the Social Sciences under the theme, History and Politics in a Postcolonial World. It was the Fulbright that finally allowed me to try and combine my seemingly discordant interests into a single project. This past year, however, I realized that my work had focused more so on art, than on politics, while my personal interests were weighing out differently. 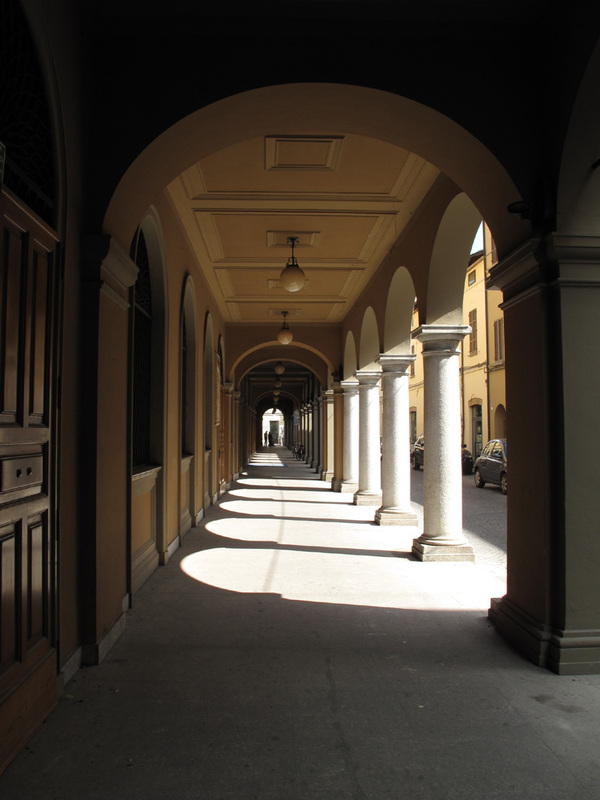 That brings me to the new title of my blog, The Art in Political Thought: My Two Years at the University of Bologna. I was introduced to UniBo’s Master’s program by my professor at RISD, Andrew Savchenko, who continuously encouraged my interest in the history, economy, and politics of Eastern Europe while I was studying at RISD. Upon hearing that my interest in the region had increased significantly while living there for the year, he suggested I look into the MIREES Master’s Program at the University of Bologna. I researched the program and quickly determined that it was a chance I could not pass up. MIREES is a two-year Master’s Program in “Interdisciplinary Research and Studies on Eastern Europe.” It is offered by the Roberto Ruffilli Faculty of Political Science at the University of Bologna, in the city of Forli. The program is taught entirely in English and aims to combine the study of Economics, International Relations and Politics, History, Linguistics, Anthropology and Cultural Studies to help students acquire a specialized, in-depth knowledge of East-Central Europe and the Balkans. The interdisciplinary nature of the program is what particularly appealed to me. And so, I applied and was accepted(!) as one of only 40 students into this unique program! I could not believe that I would be studying at THE oldest university in the world! (The University of Bologna was founded in 1088, and is the first institution in the world to use the term universitas.) 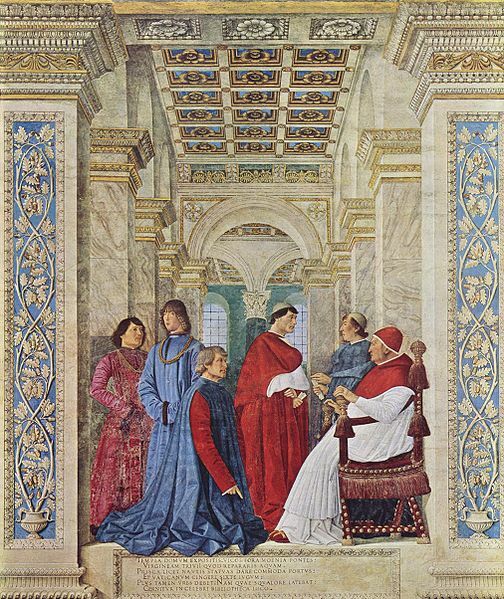 Dante Alighieri, Petrarch, Nicolas Copernicus, Albrecht Dürer, and Umberto Eco all studied at the University of Bologna. So cool. I then began the long, arduous road to enrollment, which entailed the translation, authorization, and legalization of my American undergraduate degree and transcripts (known in Italian as dichiarazione di valore); the pre-enrollment application for all Italian universities; and student visa application. NOTE: The preceding sentence hardly does justice to the fire and brimstone I encountered in dealing with government bureaucracy. However, I’ve put it all past me and am now preparing for the immediate years ahead. And so, veni, vidi… vici? Only time will tell.